Every year about this time I look for a commencement speech or short comment about what we face and how to approach thinking about the world. 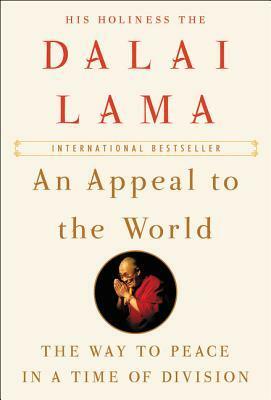 This year I chose the Dalai Lama’s Appeal to the World because I saw he had remarks concerning the current President of the United States, DJT, in response to questions posed by German television journalist and author Franz Alt. It is pure misplaced confidence, even ignorance, to think America can be ‘first,’ or any other such thing. "The future of individual nations always depends on the well-being of their neighbors." We live and die together. “Religion alone is no longer sufficient,” the Dalai tells us. We need global secular ethics that can accept atheists and people of every religion. “We are not members of a particular religion at birth. But ethics are innate.” I have wondered about that in the past, and would require a fuller explanation, but generally speaking I go along with the first part: religion is learned and insufficient for ethical behavior, we already know from experience. Ethics, learned or innate, does tend to answer best those questions that might lead us away from god-like behaviors. The Dalai believes we have a wellspring of ethics within us that must be nurtured, in schools if possible. "Human development relies on cooperation and not competition." We focus too much on our differences rather than our commonalities. We all are born and die in the same way. "I look forward with joy to the day when children will learn the principles of nonviolence and peaceful conflict resolution--in other words secular ethics--at school." This sounds so completely radical, doesn't it? Somewhere along the line we lost our connection to ethics, inner values and personal integrity. We need to relearn these things we have bred out of ourselves. In the two visions of humankind, 1) that man is violent, inconsiderate, and aggressive, and 2) that man tends towards benevolence, harmony, and a peaceful life, the Dalai comes down in camp #2. So do I. Given the choice between the two lives, most of us will choose #2. How do we know? Suffering bothers us. The essence of all religions is love. Therefore, we must presume, if we come across religious people who are not loving, something is wrong in the teaching or in the learning. This seems clear.